Seen something you love at the cottage? In the second of this two-part series, we reveal where we bought our favourite items, from wallpapers and paint colours, to lamps and mirrors. 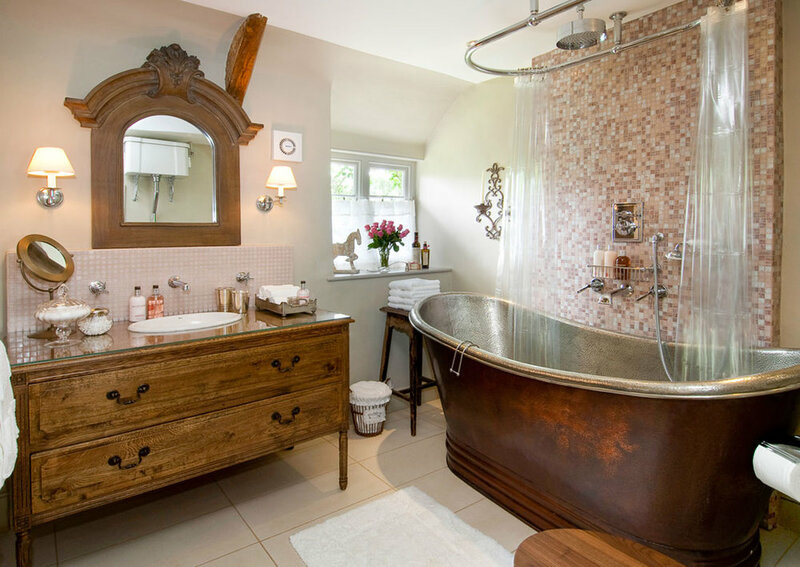 Our beautiful copper bathtub with tin inner was from Boundary Bathrooms. We bought the chest of drawers from a local furniture shop, then cut a hole in the top and shortened the top drawer to convert it into a sink unit. The sink, taps and shower hoop are Lefroy Brooks. The Normandy mirror above the sink is from India Jane. The Bisazza glass mosaic tiles are from European Heritage. The wooden horse on the window sill is from Oka. 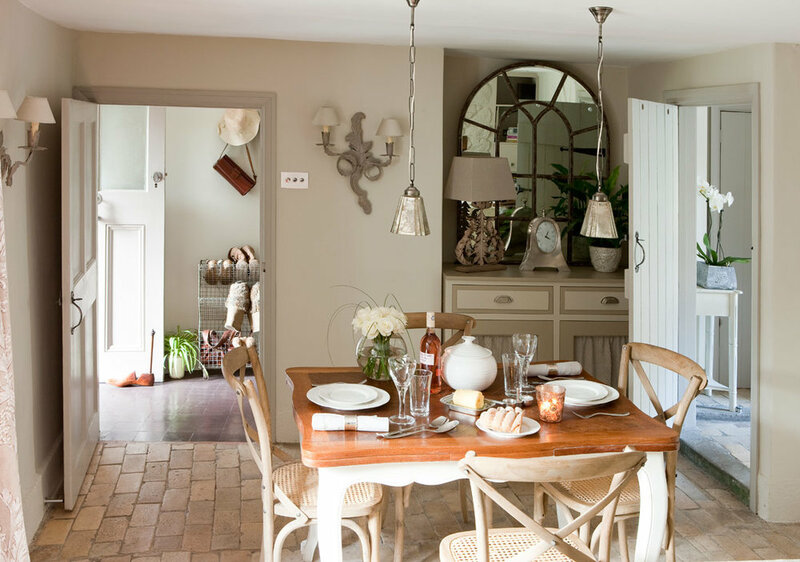 Our extendable French dining table is from French Finds, and the pretty Carmague dining chairs are from Oka. The wall sconces are from Graham & Green. On the dining table, the crockery is from Sophie Conran , the glassware is from John Lewis and the hemstich linen napkins are from Brissi. On the cabinet, the mirror was from Pinehouse, the pewter mantle clock is from Brissi and the table lamp is from India Jane. 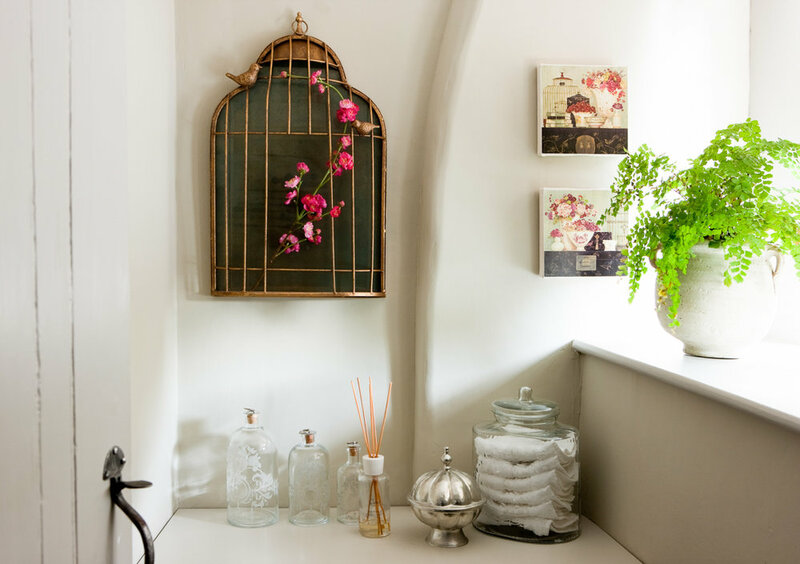 The birdcage mirror is from Not On The Highstreet, with a flower stem from Olive and the Fox. The glass bonbon jar was from Neptune and is filled with White Company flannels. The Moroccan soap dish, which we use for sweets, was an Ebay find, and the three etched glass jars were from Topsham antiques market. The Cassis room diffuser is from The White Company. This is not a sponsored post and we have not been paid to feature any of these items.